Infrastructure as a service (IaaS) is an instant computing infrastructure, provisioned and managed over the Internet. Quickly scale up and down with demand, and pay only for what you use. IaaS helps you avoid the expense and complexity of buying and managing your own physical servers and other datacenter infrastructure. Each resource is offered as a separate service component, and you only need to rent a particular one for as long as you need it. The cloud computing service provider manages the infrastructure, while you purchase, install, configure, and manage your own software—operating systems, middleware, and applications. Microsoft Azure IaaS: Includes network services and virtual machines. 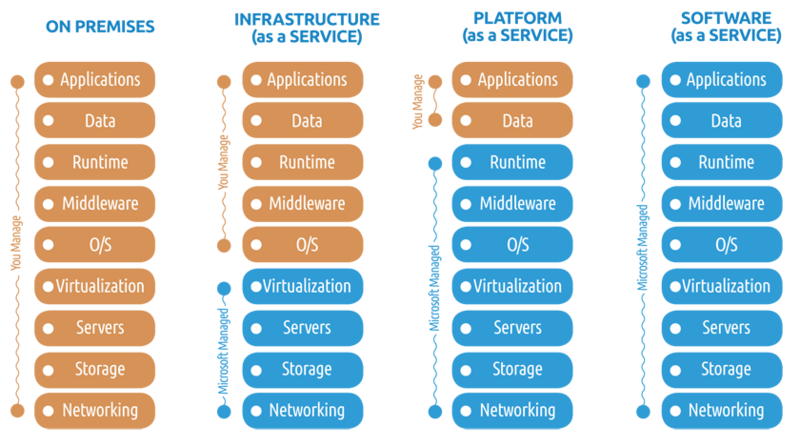 These services can be combined with any PaaS services. Virtual Network: Provision and manage virtual networks in Azure and securely link to your on-premises IT infrastructure. Virtual Machines: Create new virtual machines or create and upload your own to create pre-configured virtual machines. ExpressRoute: Connects on-premises infrastructure directly to the Microsoft network that contains Azure datacenters, without using the Internet. Traffic Manager: Load balance incoming global traffic across multiple services running in the same or different datacenters. Management: Manage your environment using the Azure portal, Azure PowerShell, or the Azure Command Line Interface(CLI). Focus on core business: IaaS frees up your team to focus on your organization’s core business rather than on IT infrastructure. 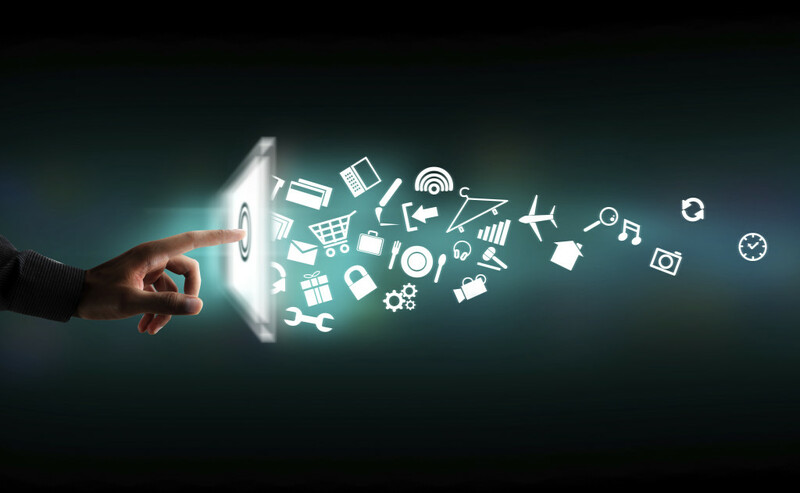 Get apps to users faster: You don’t need to set up the infrastructure before you develop and deliver apps, you can get them to users faster with IaaS.